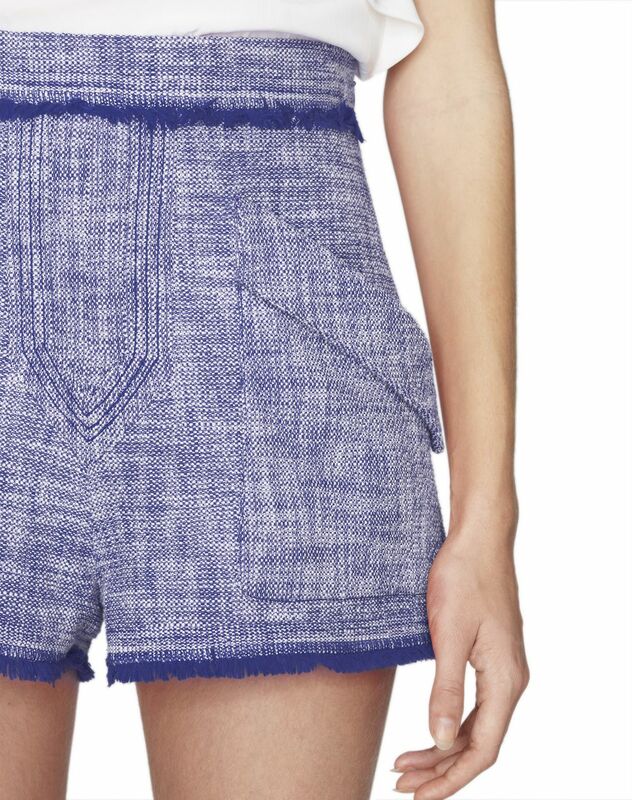 Cropped shorts in dark purple cotton weave tweed, high waist, fringe details at hems, side flap pockets, tone-on-tone topstitching, and invisible fastening on the left side. 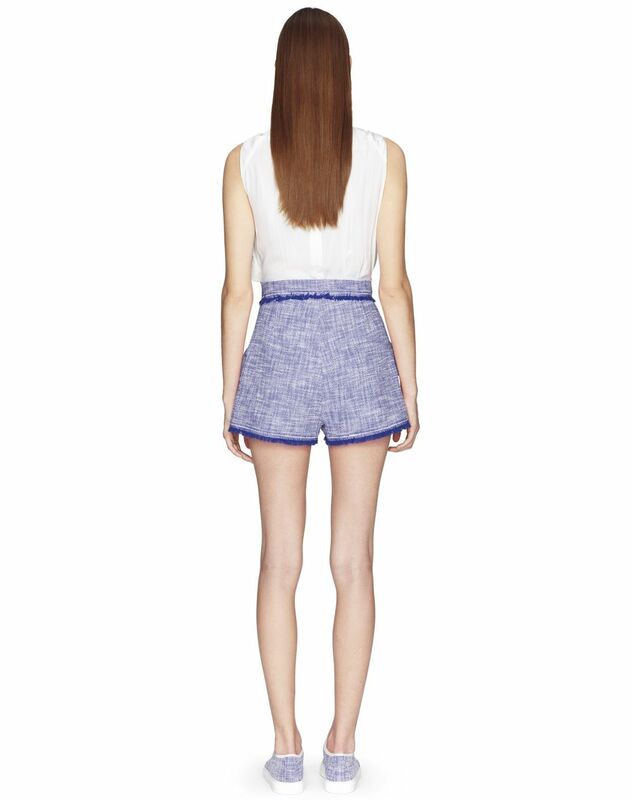 Combining comfort and femininity, these cropped tweed shorts stand out for their timeless tweed material. 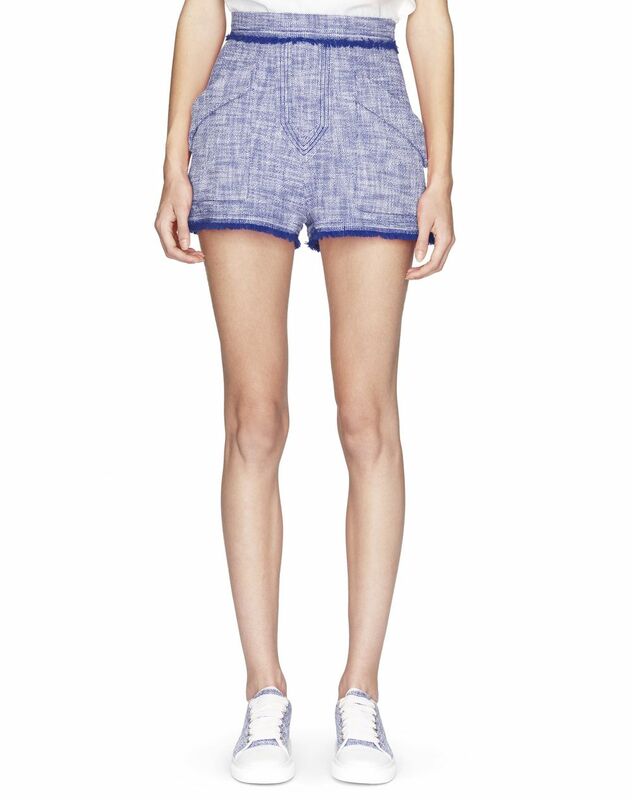 They come in a vibrant dark purple colour and are finished with raw hems, a Lanvin signature. 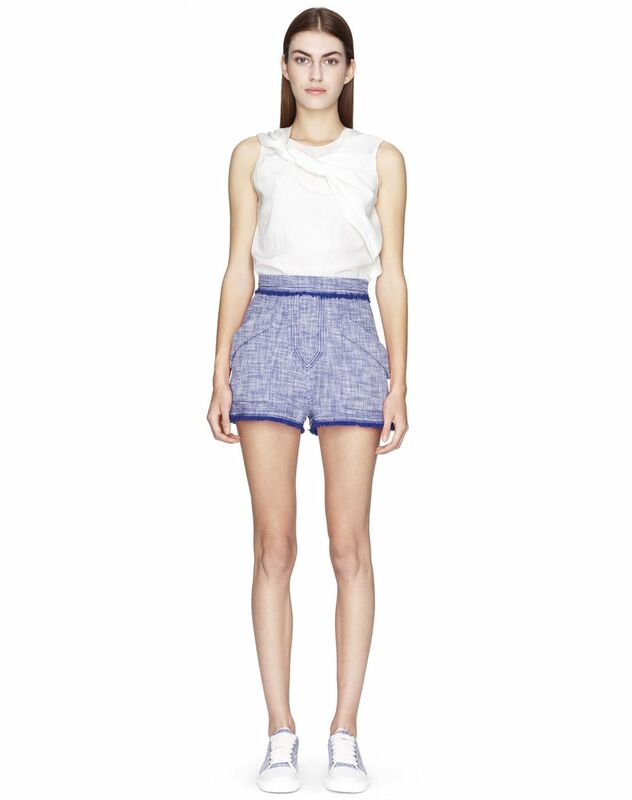 This piece will add a freshness and lightness to your summer outfits.